The dual role is newly created at the independent firm. 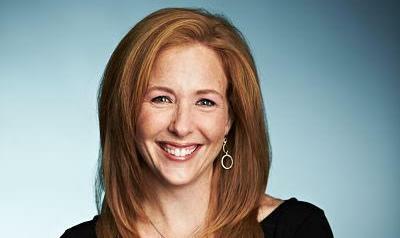 SEATTLE: WE Communications has brought on Stephanie Marchesi as president of its health sector and Eastern region. Marchesi will oversee WE’s North American health group and its Eastern U.S. region, which includes the firm’s New York and Boston offices. She will work closely with the global health leadership, Asia-Pacific health lead Shefali Srinivas, and Germany health lead Bianca Eichner, as well as other sector leaders. The position is newly created, the firm said in a statement. Marchesi is based in New York, reporting to Kass Sells, North America president. "[Marchesi] gets that intersection of brands and technology," Sells said. "She understands the health category and understands how consumers interact and engage with brands. She gets it and she gets us." Boston GM Kathy Allen and New York office MD Alyssa Garnick will both report to Marchesi. Sells said the position combining oversight of the health operations and Eastern region is new, but Aimee Korso, who left WE in May, previously led the health sector. He added that the firm created the dual role because many healthcare clients and opportunities are located in the Northeast U.S.
"I’m looking to leverage the firm's expertise to harness the opportunity of this intersection of health and technology," Marchesi said. "We are poised to excel in that space." Marchesi left her role as FleishmanHillard’s global CMO in early March after a tenure of nearly six years at the firm. The Omnicom Group agency eliminated the position upon her departure. Marchesi joined Fleishman in August 2010 as senior partner and MD of global integrated marketing communications and was promoted to CMO a year later. Her most recent title at the firm was senior partner, CMO, and MD of global client relations, and she was responsible for new global business and oversight of service for the agency’s largest clients, such as Procter & Gamble. Marchesi also led Fleishman’s global brand refresh in 2013. Previously, she was president of GCI’s New York office and president of Cohn & Wolfe New York after GCI merged with the WPP firm in 2008. This story was updated on December 1 with comment from Sells and Marchesi.